The JV Vikings finished its season with a overall record of 12-4. Wins were recorded against Abbeville (2), Chapman (2), Greenwood, Ninety Six, Strom Thurmond, Saluda, Crescent(2), and Clinton(2). Losses were by JL Mann, Greenwood, Abbeville, and Ninety Six. The Vikings batted .369 as a team and outscored their opponents 135-55. The pitching staff recorded 107 strikeouts in 87 innings pitched with a team ERA of 2.74. The Vikings also recorded 77 stolen bases in 16 games. The Emerald JV team finished their season strong with a 6-4 victory over Clinton last Monday. Matthew Qualres had 2 RBI's and earned his 5th victory on the mound. Cooper Mullet and Taylor Buchanan each had two hits, while Bradley Dixon scored the go-ahead run in the top of the 7th to help give the Vikings the win. 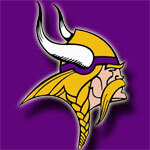 The Vikings will finish the season with an overall record of 12-4. The JV Vikings traveled to Abbeville for a double-header Saturday afternoon. The Vikings took the loss 3-2 in the game one before winning the second game 9-2. The starting pitcher in game one for the Vikings was Dillon Loggins (0-1). Dillon threw 5 innings while giving up 0 ER's on 2 hits with 6 strikeouts. Leading hitters were Matthew Quarles (1-2, 2 R), Cooper Mullet (2-3, SB), and William Walker (1-2, RBI).